Running Fox Books, 9781940320014, 178pp. Survival. It makes for exciting TV, but all Josh wants a life that passes for normal. A real house, not a cabin in the woods. Hockey, not hunting to put food on the table. Girls. 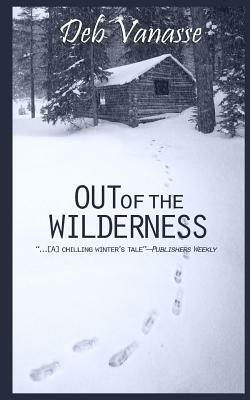 But his half-brother, Nathan, wants to prove himself in the Alaska wilderness, and their father won't let him do it alone. Josh's prospects brighten when an intriguing girl visits remote Willow Creek, but Shannon is entranced with his brother. As Nathan's behavior grows stranger-and more dangerous-Josh confronts the dark side of what it means to be his brother's keeper. ..". A] chilling winter's tale." Publisher's Weekly. At age twenty-one, Deb Vanasse was dropped by a bush pilot on a gravel runway in middle of the Alaska wilderness. No roads, no houses, no cars, no people-only a winding brown slough and tundra spread flat as prairie. She had come not for adventure but to live, an isolating but enriching experience that inspired this novel. Between her mountain home and glacier-based cabin, she continues to enjoy Alaska's wild places. The author of more than a dozen books for readers of all ages, she is co-founder of the 49 Alaska Writing Center. Follow her at www.debvanasse.com and www.selfmadewriter.blogspot.com.